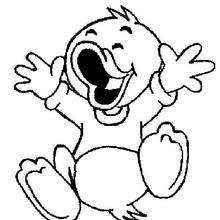 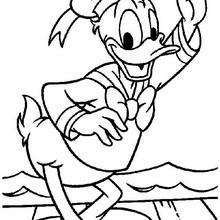 Donald Duck is a comic-book character and one of the most popular of the Disney cartoon characters. 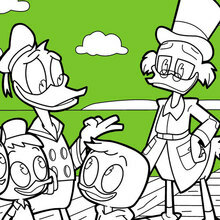 Donald is a duck wearing a sailor shirt, cap, and a red or black bowtie. 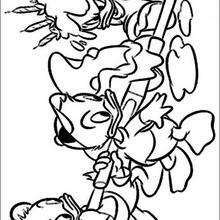 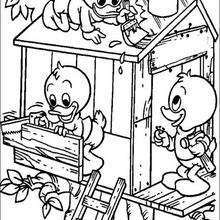 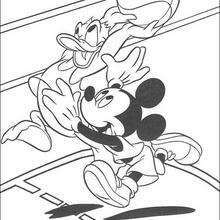 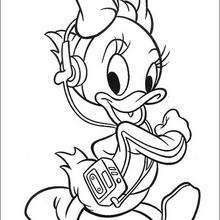 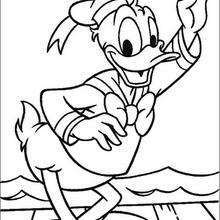 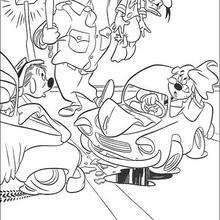 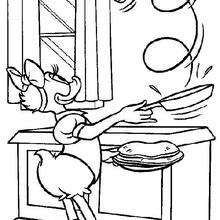 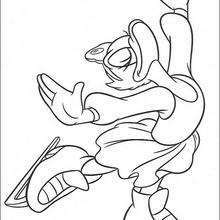 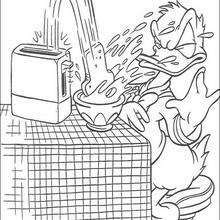 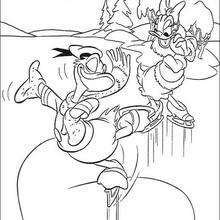 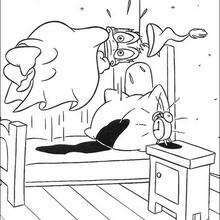 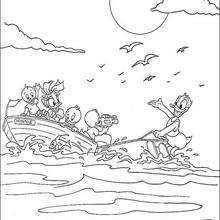 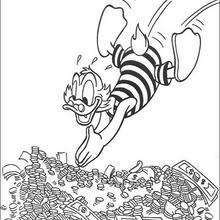 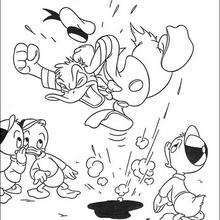 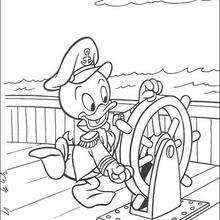 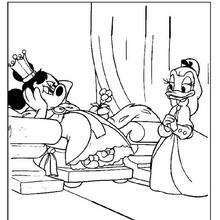 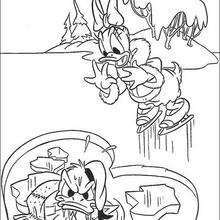 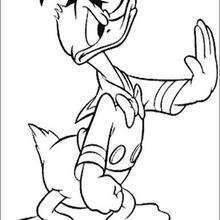 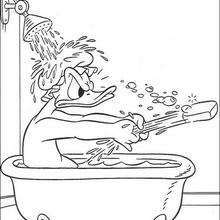 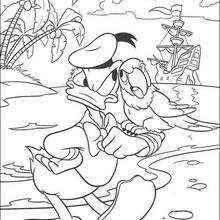 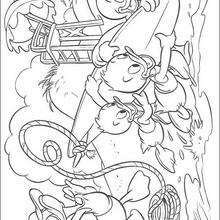 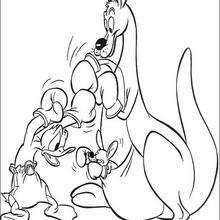 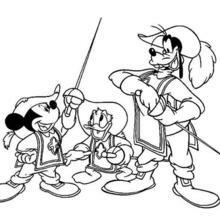 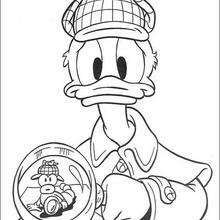 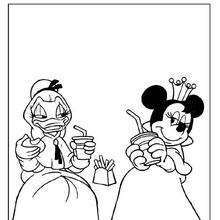 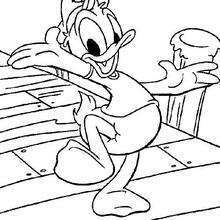 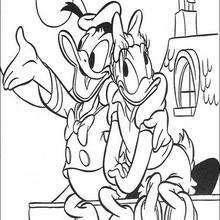 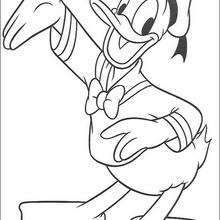 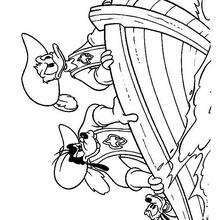 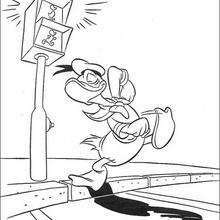 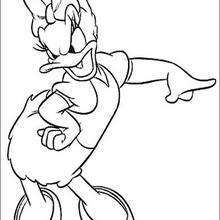 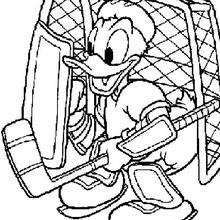 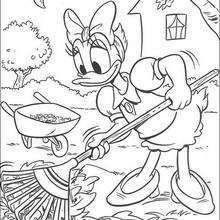 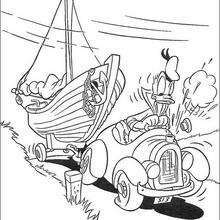 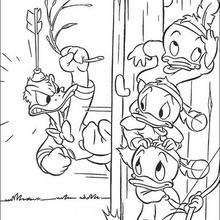 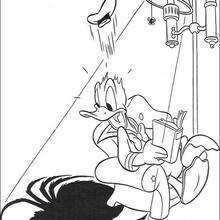 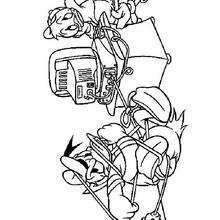 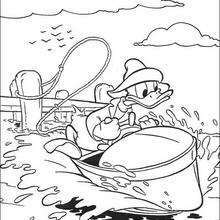 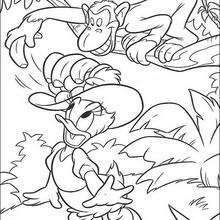 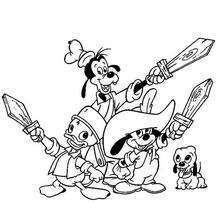 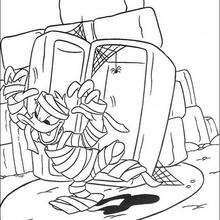 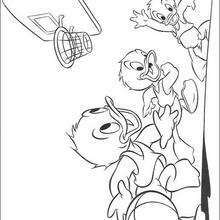 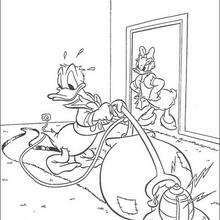 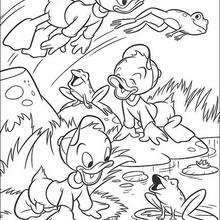 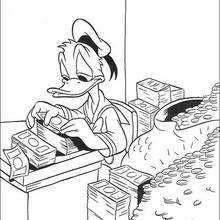 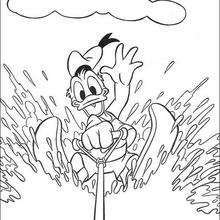 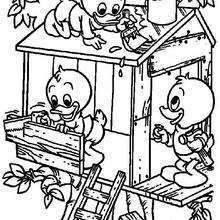 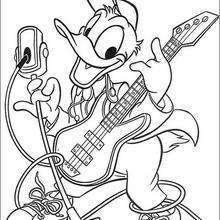 Find below our Disney coloring pages collection of Donald Duck. 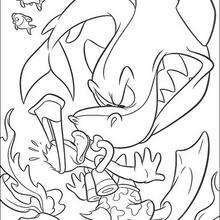 Print to color free coloring pages and enjoy!